Indulge in the fanciest of cocktails with your girlfriends or that special someone. What’s better than a little bit of candy to sweeten up your hot date? 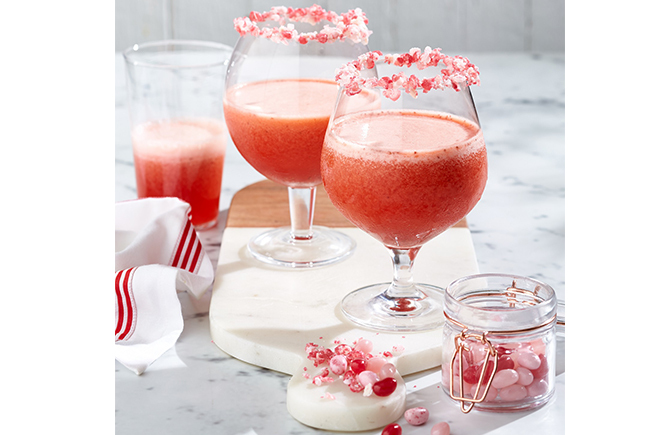 This strawberry margarita recipe is made with Jelly Belly jelly beans so it’s perfect for vegans and those following a gluten-free diet. Thanks to our friends at Jelly Belly Australia for the recipe.